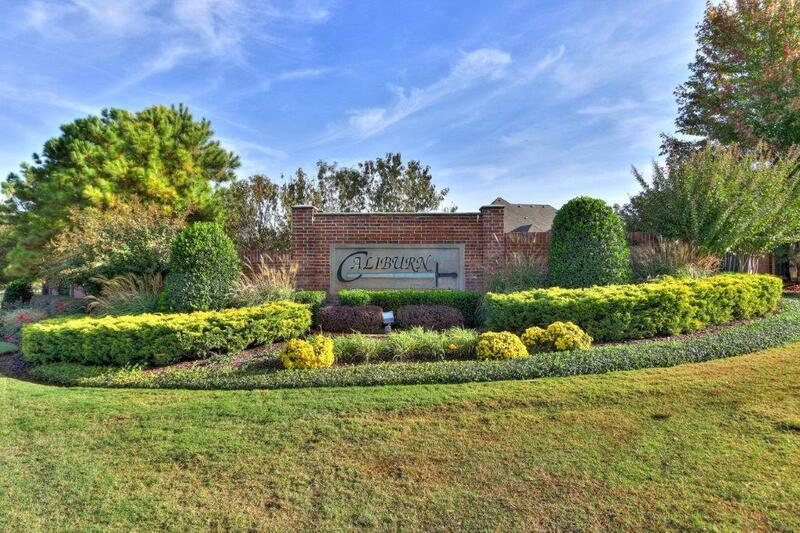 Caliburn - Edmond Small gated community! The north of Edmond has become the go-to place for new families to find a great home at an affordable price. The development of pre-planned and gated communities in the past decade has increased the options available to first-time home buyers who don’t want to settle for a starter home, but want to begin in their forever home. Caliburn is a gated community that offers stunning houses that no owner will ever need to upgrade from. Some of the residential communities surrounding Caliburn include Twin Bridges, a similar neighborhood that wraps around the north and east sides, Redmont Trace to the south and Belmont Farms and Coffee Creek to the west. Click here for homes for sale in Caliburn. Caliburn is much smaller than many of the other gated communities in the north of Edmond, preferring to offer fewer homes in the same amount of space. When planning a community, the developers have two choices: stretch the land to build as many homes as possible, or focus on the quality of home and build far fewer than normal. Caliburn took the second approach and made sure to build a lot less homes so that each one has a tremendous amount of space. There are many other benefits to living in a smaller community besides the fact that the homes are much larger. A smaller community cuts down on the amount of traffic on the roads and the amount of unfamiliar faces on the streets. The homes for sale in Caliburn are all massive estates with quality construction and stunning features that provide luxury living at its finest. These mansions have as many as 5 or 6 bedrooms and baths and most are over 5,000 square feet in size. If the view of the community lake is not enough water, turn to the large pool just outside or enjoy one of the many unique features that some of these houses have. Ever wanted to have a full outdoor kitchen to make summer nights at the grill more pleasant? Need to indulge with a drink in the sun room? Maybe you just crave massive ceilings to add to the grand feel of the home? Caliburn estates are what buyers think of when they picture opulence. Fireplaces, multi-car garages and outdoor water features are all icing on the cake for the lucky few who have the privilege of calling this neighborhood home. People who buy a home in Caliburn are doing it for many reasons and security is at the top of the list. There is only one entrance into the community and strangers are barred by the gates that keep out unwanted traffic. Because there are not nearly as many homes in the town, new owners have the ability to get to know each and every one of their neighbors if they wish. This provides a stronger sense of community to Caliburn. There is something peaceful about being able to recognize every face that walks along the sidewalk outside of your home. Heritage Elementary is just on the corner of Sorghum Mill and Broadway, right on the opposite side of Twin Bridges. Having a major school this close is a tremendous benefit for children and parents. Being this close to your kid’s school makes it easier to get them out in the morning, not needing to worry about a long commute or bus ride. Heading into Edmond is simple from Caliburn, a straight shoot south put residents right into the heart of the city and all its restaurants, bars and stores. Additional schools for students in Caliburn include Sequoyah Middle School and Edmond North High School. Finding a home in a reputable gated community like Caliburn is not simple. With fewer homes it’s rare to see one hit the market, and some sellers prefer not to list publicly because they don’t want to waste time with buyers who aren’t serious and just want to see how the other half lives. At The Sikes Team we have the connections needed to find out when an owner is interested in selling and make sure you’re the first in line when the house goes up for sale. Buying mansions at a higher price point have complications that standard real estate transactions do not have. We have experience dealing with these transactions and will make sure you are taken care of every step of the way, through every inspection and piece of paperwork.